The road to recovery continues now for Jessica at home. 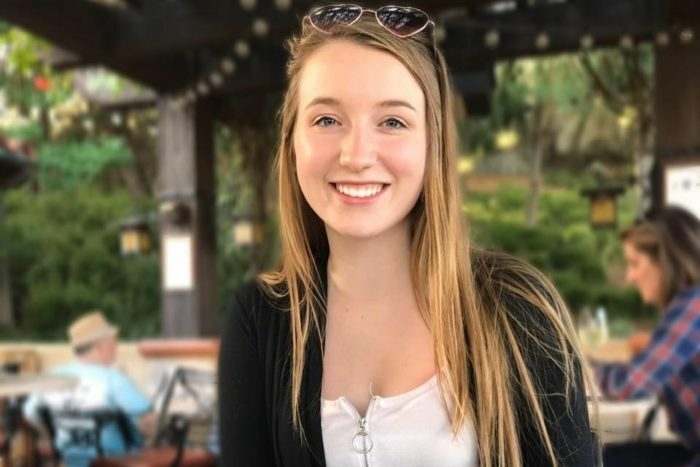 Jessica was seriously injured on March 22 when a pick up truck with a driver, under the influence, crossed the yellow line and hit head on the car carrying her and 3 friends. Jessica suffered multiple broken bones including a spinal fracture, a collapsed lung, and lacerated liver. She underwent a successful thoraric lumbar spinal instrumentation and spinal fusion on April 1 in Maine when administrative issues delayed a transfer to Canada. On April 11 Jessica was excited to finally be transferred from Maine back to Canada to the Neurosurgery unit at the QEII. On April 18 she was discharged from the hospital as she is no longer considered in critical condition. Care for post surgical complications will now take place on outpatient basis. Functional rehabilitation to learn to live in the spinal brace will be the focus for physiotherapy and occupational therapy in the next few months. When she is eventually cleared to stop wearing the brace, more intense physical rehabilitation will start. Support has come in the form of well wishes, visitors, and financial donations. Donations have eased the worry of the expenses incurred staying out of country for three weeks, medical costs not covered by insurance, her ongoing and future rehabilitation costs, her loss of wages from part-time work, and anticipated loss of wages from not being able to work this summer and save for tuition in September. Jessica is deeply grateful and appreciative of the continued support from family, friends, and her community. April 1st, 2019 Jessica underwent surgery - the procedure was a thoracic lumbar instrumentation and spinal fusion to repair her fractured spine. It was considered very complicated as all ligaments and muscles around her spine had ruptured, leaving the spine completely unsupported and unstable. She also had internal bruising the entire depth of her abdomen from front to back which made her tissues very difficult to work with surgically and left her at high risk for surgical complications related to the healing and infection. Luckily, with a great surgeon, the procedure itself went well. However, the medical team struggled with post-surgical pain control for three days. April 4th, 2019 Jessica was able to sit up on the edge of her hospital bed with the help of a special body brace, for the time since the accident on March 22, 2019. April 6th, 2019 Jessica still remains at the Northern Light Eastern Maine Medical Centre and was transferred to acute rehab to start her long road to recovery, which will be a long and expensive process, especially while she is in the United States. Jessica would like to return home to Canada and complete this process with family and friends but also be in a place where all her medical and living costs are covered. However, despite being a Nova Scotia resident, she is facing more difficulties in having Halifax approve of the transfer due to the unavailability of hospital beds. As many of you have now heard, four Hants County residents, which includes Jessica Lake-Crossley of Mount Uniacke, were involved in a serious head-on collision in Maine, United States last Friday, March 22, 2019 on their way home from vacation. The accident has left Jessica to suffer injuries of multiple broken bones of the spine, breast bone and collar bone. Some additional injuries include lacerated liver and collapsed lung, all of which have left her unable to return home to Canada. Since then, Jessica's pain has worsened and the injuries have become more severe, leading to a recommended high-risk spinal surgery if she wants a chance to return to a normal life. A donation page has been set up to assist Jessica with current and future financial support through her recovery journey and medical expenses at the Northern Light Eastern Maine Medical Center in Bangor, Maine. Jessica is a graduate student at Dalhousie University and a figure skating coach, but due to this, she will have to put those huge accomplishments on hold. Jessica has also touched the hearts of many people in her home community of Mount Uniacke, Nova Scotia, where she has recently been reminded of its warmth and encouragement to be the strong person she is, through this difficult time. Thank you to everyone for the continued caring and supportive thoughts and messages being sent to Jessica and her family at this time.